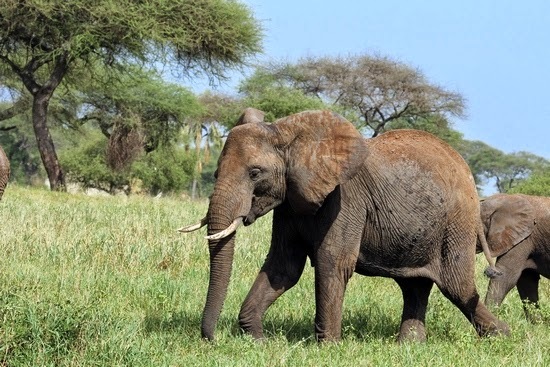 Wildlife Crime: Smaller Elephants in Ruaha? I have recently returned from Ruaha and Selous in Tanzania. I had a great 10 day safari with fantastic and very knowledgeable guides. I renewed previous acquaintances and friendships and spoke to a lot of people about the current poaching problems. 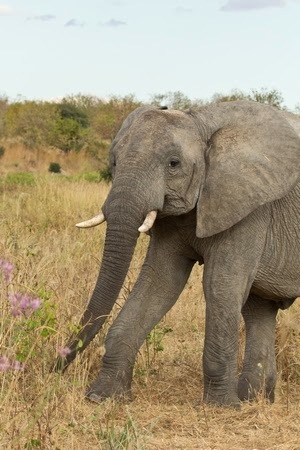 Among the many observations that were made was the apparent decrease in average size of elephants in Ruaha. I can attest to this as I also noticed that they seemed a little smaller than the ones I'd seen in Tarangire in 2013. Smaller elephants with smaller tusks, and quite a few tuskless ones as well. The prevailing thought is that most of the bigger older Tuskers have been shot, and consequently the genes for large Ivory are not getting passed on. Whether this 'selection' is resulting in smaller elephants as well is anyone's guess. Maybe they are just younger animals in Ruaha. I have no science to back this up. Just what my eyes are telling me.